For a long time, it was the tallest fountain in the world. But, it is now a paltry fourth. But, who’s counting, right? 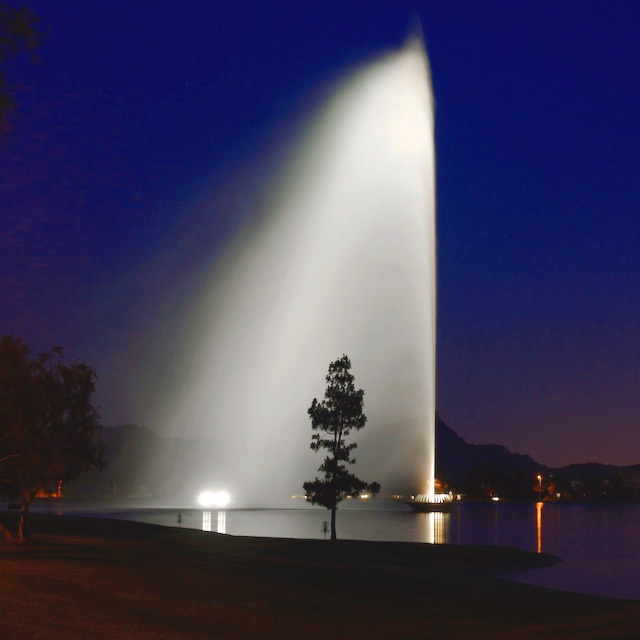 The awesome fountain in Fountain Hills has been a popular sight for locals and visitors alike. The fountain was built in 1970 and was the tallest fountain in the world for over a decade. The fountain typically sprays water for 15 minutes every hour but only from 9 am to 9 pm. The fountain reaches 560 feet high (under ideal conditions). That’s if they are running all three pumps. If only two water pumps are running, the height may be only 300 feet high. Still impressive. The park is also lots of fun for the kids. Fountain Park has a playground and walking path that goes around the lake. The fountain is surrounded by a beautiful lake, and a really nice park! It’s a popular destination for locals, and fairs and shows. There’s a big deal made out of St. Patrick’s day every year, and they usually dye the fountain green. The park and fountain are popular on Independence Day, and the city usually launches fireworks. The city of Fountain Hills is located about twenty to thirty minutes drive from Scottsdale, and has a population of 22,489 people. Back in 1980 it only had a population of 2,771 people, so it has grown significantly over the years. 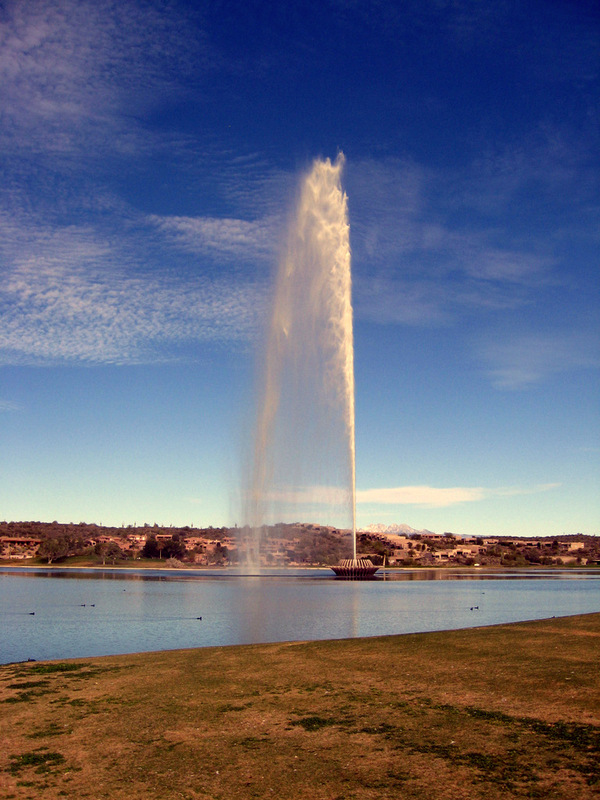 Fountain Hills is a popular destination for sightseeing, and is a stop on the way to Payson.